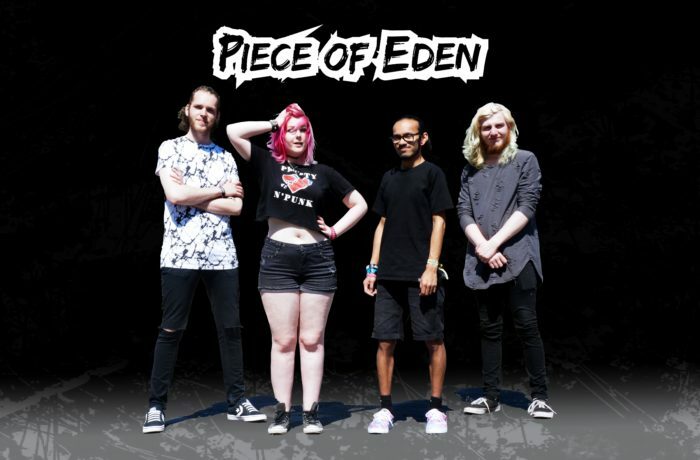 Piece Of Eden is a female fronted punk-rock band that started off with the brother and sister; Jay and Melody in the year 2014. Not much later a bassist got invited to join the two and Piece Of Eden was officially born. This all started when the frontwoman Melody was only 15 years old and the guitarist/backing vocalist Jay was only 17 years old. Not much later the band met Sander; the current drummer of the band. They just clicked and the band started to get a beating heart. They went on writing a lot of music and were so inspired that they never even had the time to play covers. Eventually the bassist left and they found out about Ino's incredible talent for playing the bass and the band felt whole again. Earlier the band released two singles named "Feed Them Medicine" and "Four Weeks In A Row". They are now stepping up their game with their self produced "Arrows EP" which got released on July 1st 2017. Piece Of Eden is looking at a bright future.